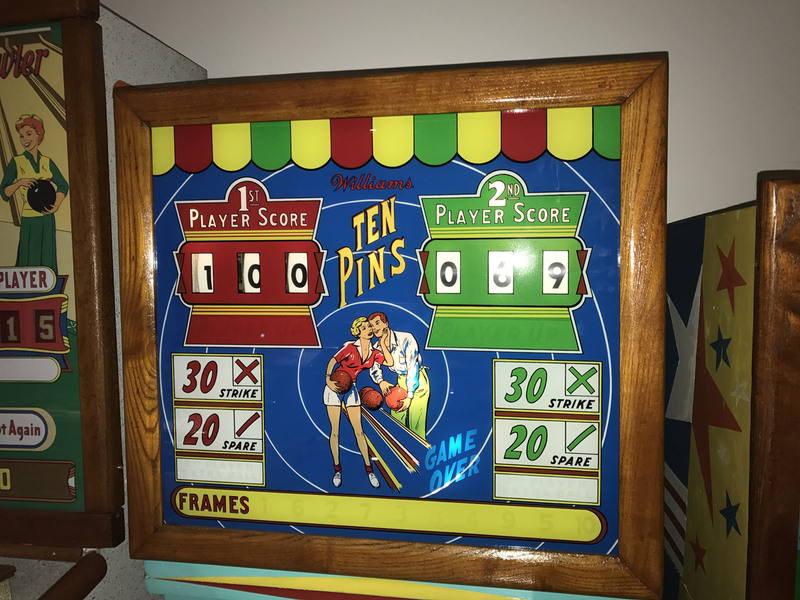 Ten Pins Mannequin Bowling Game | Fun! 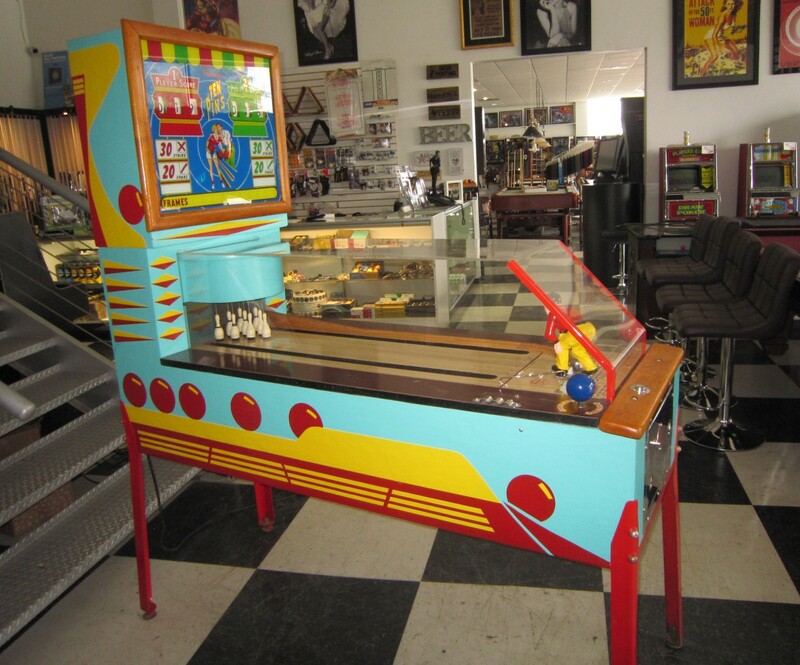 You’ll be bowled over by this terrific vintage arcade game! the 1930’s and proved immensely popular right through to the early 1960’s. 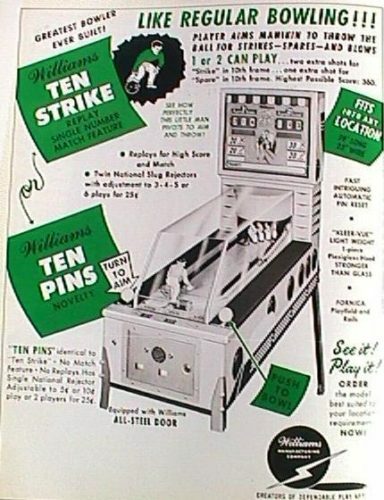 The highly collectible ‘Ten Pins’ arcade bowling game was produced by the renowned manufacturer Williams during 1957, and was based on an earlier version by H.C Evans. 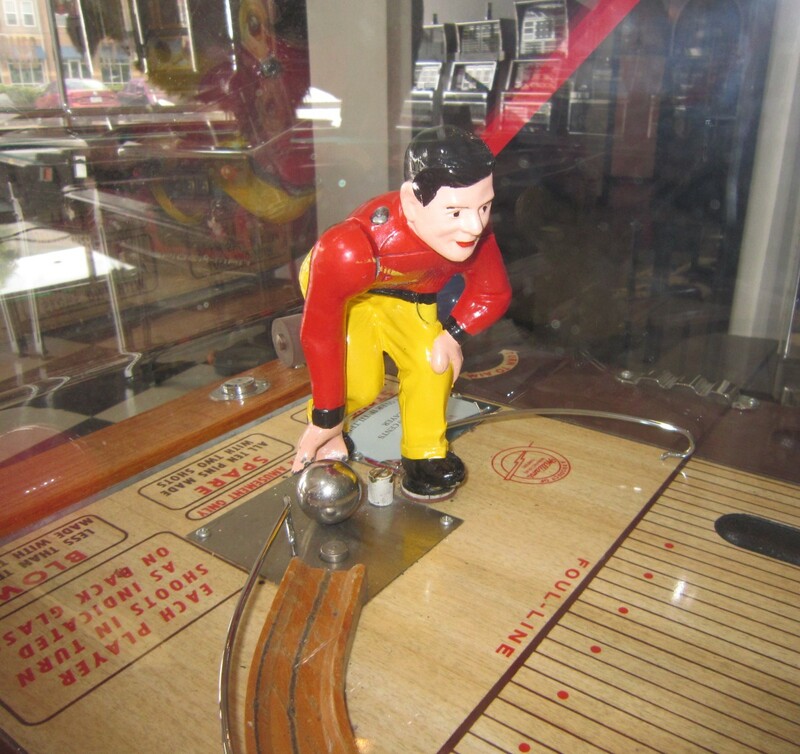 Williams bought the tooling from Evans when that company collapsed and immediately improved on the mechanism by abandoning the somewhat cumbersome weighted pulley system and replacing it with stepper units which control the play and action. 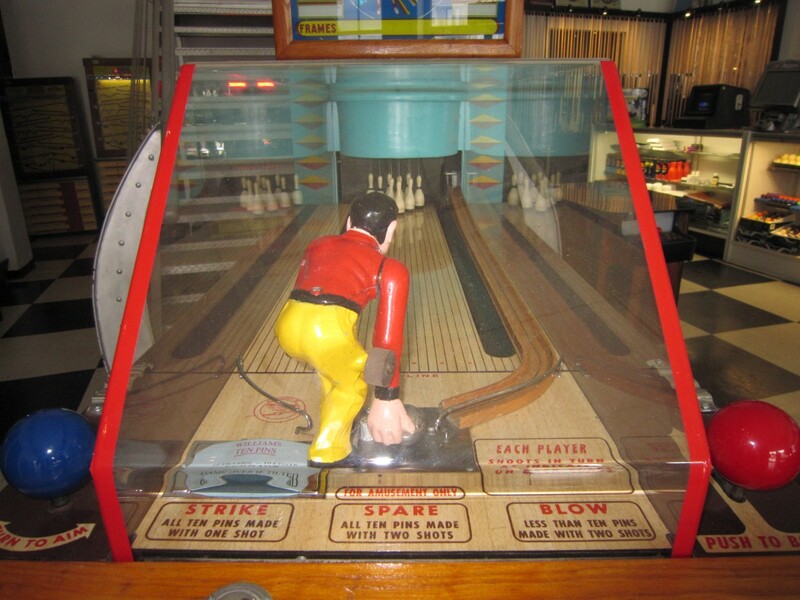 Players manipulate the bowler’s aim before releasing the ball with the red knob, and in this version of the game Strikes are worth 30 points with spares worth 20. 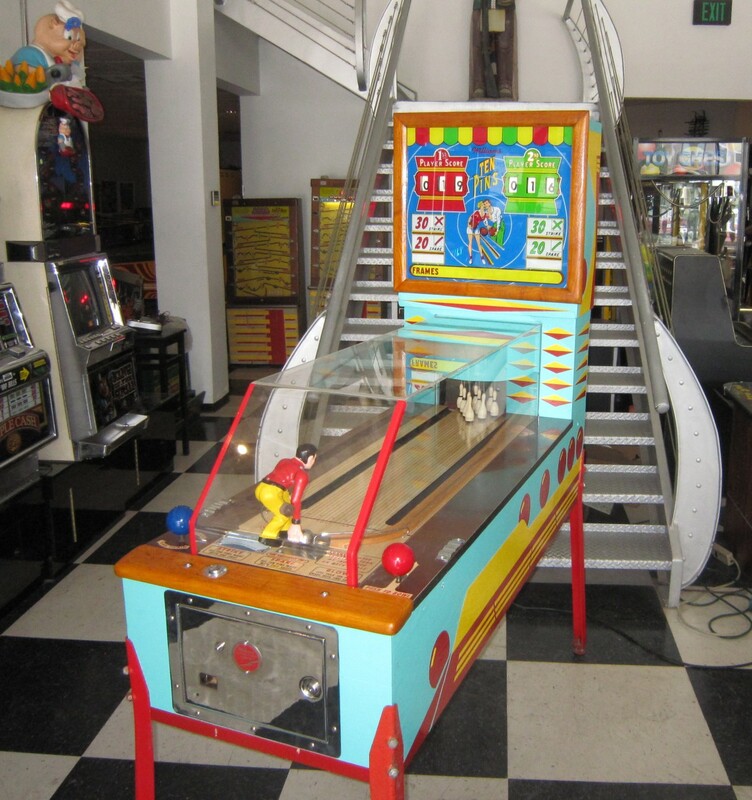 Rather ingeniously, the ball breaks the magnetic attraction between the pin and the alley, causing the weighted pin to recede when struck. Behind the stunning back glass is a fully automated electronic scoring system which is in perfect working order. 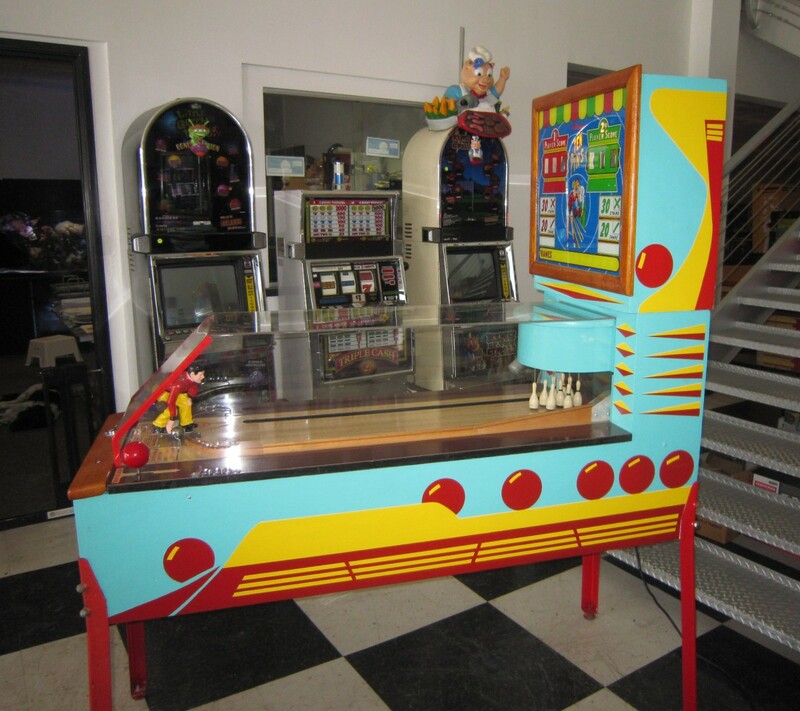 Obtained from a private collector, this game was restored by the renown Fabulous Fantasies Co in Los Angeles. It plays and presents beautifully.